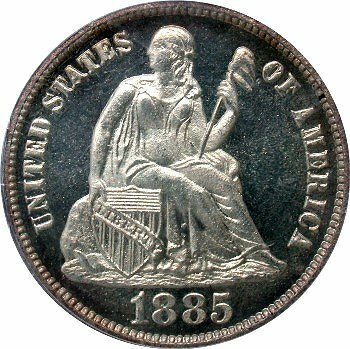 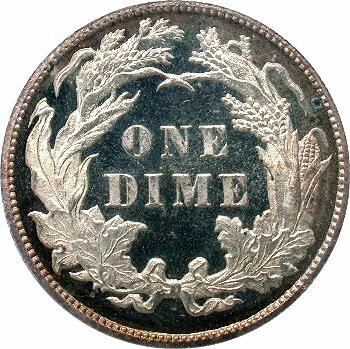 Comments: Only one proof obverse die has been identified. 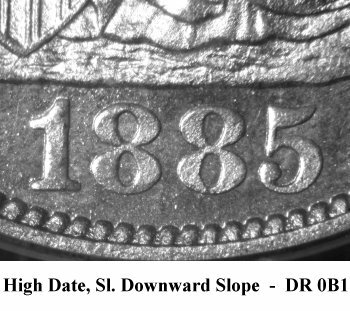 Obverse 1 features a high date with a slight downward slope. 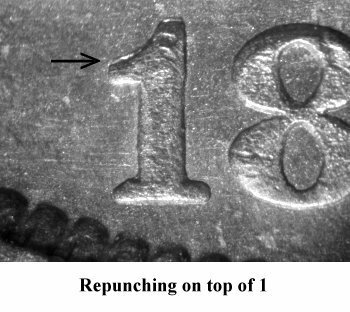 The 1 digit in the date is repunched above the flag. 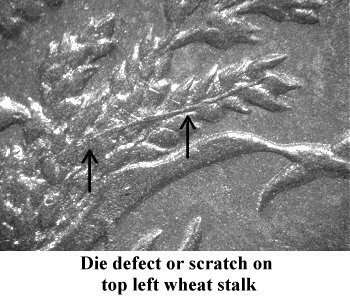 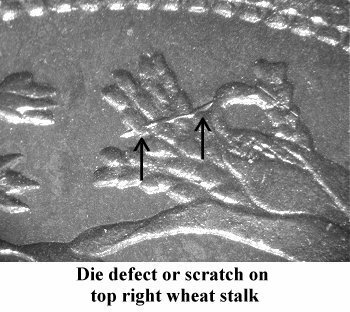 Reverse A has two long die scratches on the left and right wheat stalks as illustrated above.